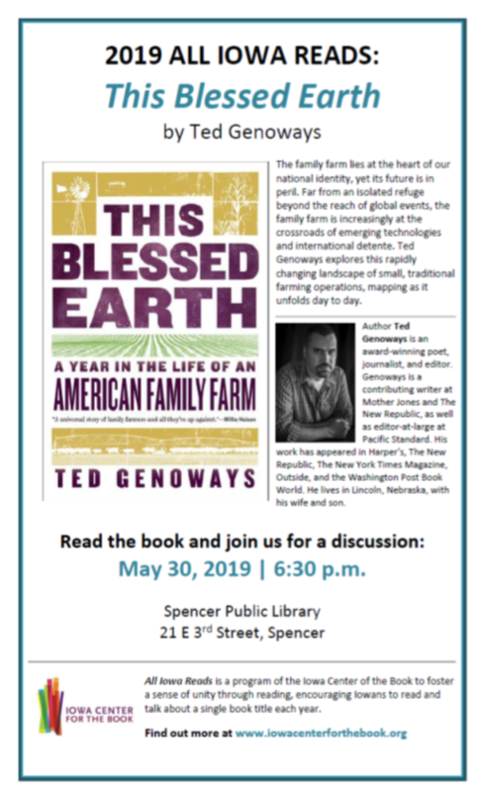 "This Blessed Earth: A Year in the Life of An American Family Farm" is this year's All Iowa Reads selection. There will be discussion on May 30 @ 6:30 PM. We have books for checkout around May 3 and an audiobook is also available. Also, Bridges has the audio and e-book for unlimited downloads!